Steve Johnson’s Jazz Legacy project was begun in late 2009. The CD “The Sands of Time” was released in 2010, and Steve has performed regularly in all the Jazz venues in the super competitive Los Angeles scene including at The Lighthouse, Jax, Spazios, Red White and Bluezz, Charlie O’s, KJAZ Brunch and has been in residence at the Hilton Jazz Brunch at Universal Citywalk since October 2009. Other highlights include starring in a short film feature titled “Man Machine and Jazz” by Will DaRosa and providing soundtrack in Scott Essman’s short film “Coltrane and Miles”. 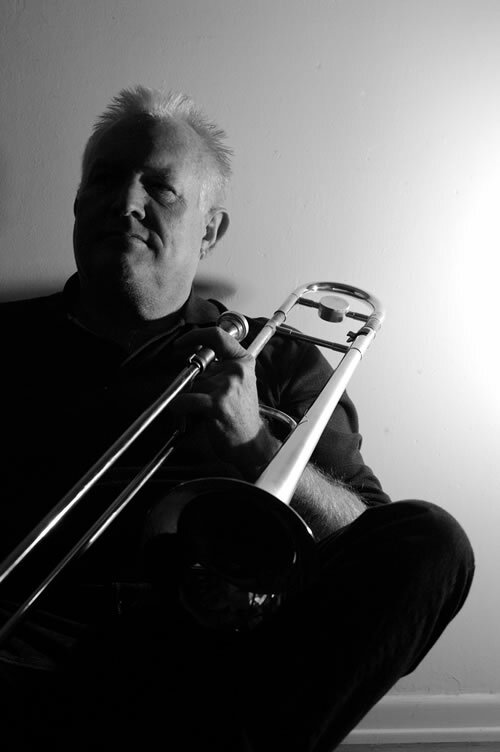 As a freelance musician based in Los Angeles, Steve has played his trombone at the highest levels of all major styles: from Be Bop to Soft Pop, Classical to Salsa. He has done it all. Credits include: Ray Charles Orchestra (Lead & Jazz); Don Ellis Big Band ( Lead & Jazz); Grover Mitchell (Lead & Jazz); Tommy Vig- Very Vig Band ( Lead & Jazz); Buddy Collette; Benny Carter; Willie Bobo; David Benoit; Little Anthony; The Temptations; Captain and Tennille; Jan and Dean; Johnny Polanco; Alfredo de la Fe; Johnny Blas; Hector Rivera; Azteca; Johnny Martinez; Johnny Nelson; Sinfonia Orchestra (Roger Wagner Master Chorale); Valley Symphony; Los Angeles Solo Repertory Orchestra; Opera A La Carte. TV/Media work includes: ABC Movie of the Week, Comedy Central, The Golden Eagle Awards; New York, New York and the Swiss Radio Big Band.